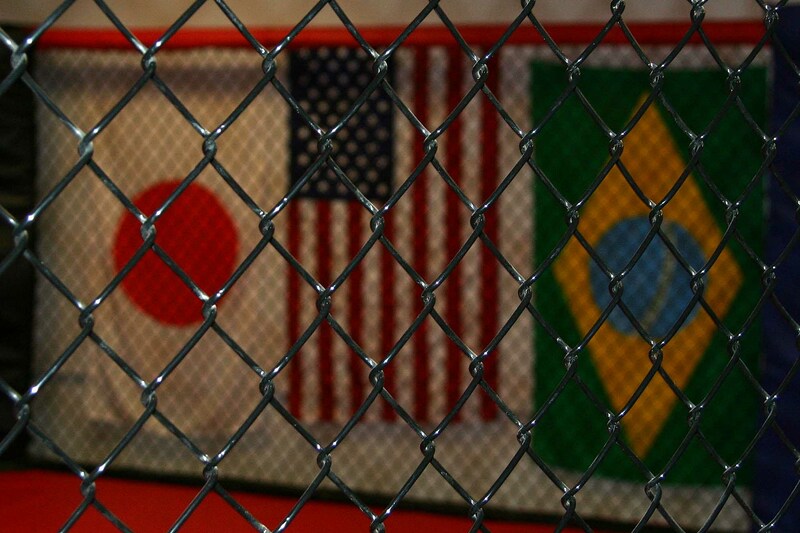 Mixed Martial Arts is becoming one of the premier sports in the world. Whether the competition happens on a mat, in a ring, or in a cage; the object of MMA is to test one's skills against a willing and competent opponent. Using skills in kicking, punching, and wrestling the competition usually works its way to the ground. Once on the ground then wrestling and the various schools of grappling are used to end the competition by forcing ones participant to give up by submission. Wrestling is one of the oldest sports and has long been a part of the Olympic games. Ancient artwork from civilizations around the world often depict two individuals competing against each other without weapons. In the discipline of wrestling, the object is to win the match by pinning your opponent to the ground. Judo is a modern martial art founded in 1882 by Jigoro Kano. Judo became an Olympic sport in 1964. The object of Judo is to either throw or takedown the opponent to the ground, immobilize or otherwise subdue the opponent with a grappling technique, or force the opponent to submit by joint lock or choke. The basis for our training is wrestling. Our trainers have trained and hold rank in various grappling martial arts. The submission skills are heavily influenced by Sambo (leg locks), Brazilian Jiu-jitsu (guard work), Catch Wrestling (top position) and Judo (throws). The striking skills are based on traditional boxing (punching) and Muay Thai (elbows, knees, and kicks). Find Matside events on Facebook, Click image below.